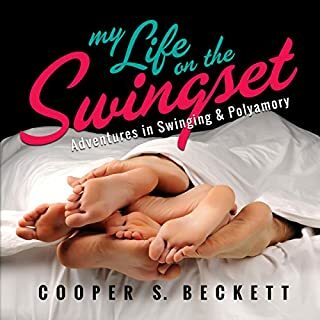 For five years, Cooper S. Beckett has written for Life on the Swingset. The website was born out of the feeling that he'd learned enough in his whole year of swinging to tell other people how to live their nonmonogamous lives. His hubris can be seen from space. Here, he has collected personal essays, stories, erotica, and prescriptive how-tos into this memoir of his life, My Life on the Swingset. He may be biased when it comes to swinging, polyamory, and other forms of ethical nonmonogamy (in fact, he most certainly is), but he doesn't sugarcoat it.